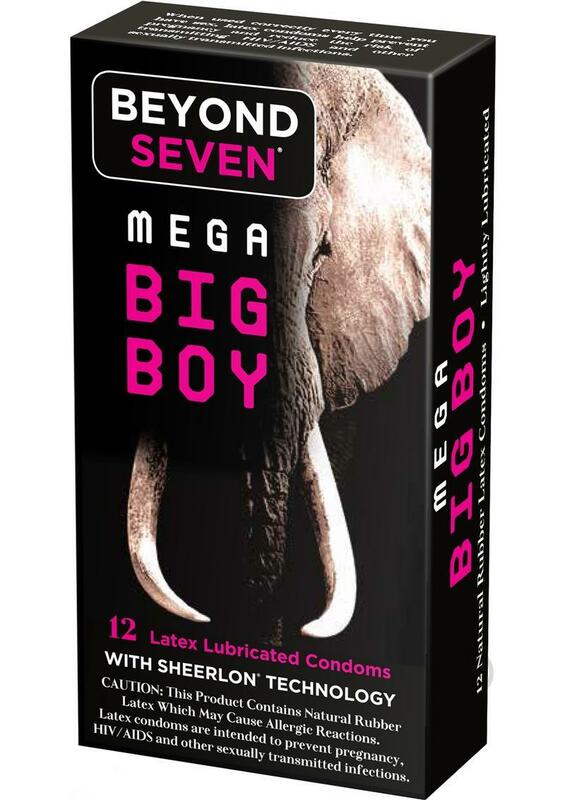 From Okamoto, Beyond Seven Mega Big Boy gives you the extra large size you need with the thin, sensitive feeling you can expect from Beyond Seven condoms. Trusted around the world, Beyond Seven is renowned for thinness and strength, giving you protection you can trust with a natural feeling you'll love. Try one on for size! Pack of 12 extra large thin lubricated latex condoms.